Start consolidating your debt today with one of the following top personal loan providers. Compare their rates, terms and loan amounts to see which is the best one for you. SoFi is an excellent lender to work with on all fronts, but it really comes through for borrowers consolidating debt. It has no fees, APRs of 5.74% - 16.99%, high loan limits up to $100,000, and flexible repayment terms of 36-48 months. Best of all is SoFi’s attitude towards borrowers. Once you take out a loan from SoFi, you become a member of a close-knit society that really looks out for its own. As well running regular social events such as networking lunches, SoFi has a unique unemployment grace period that allows you to defer your loan payments in case you become unemployed, which can be a lifesaver if your in the process of consolidating all your debt. Marcus by Goldman Sachs is backed by a company that’s been around for almost 150 years! Those are numbers you just can’t argue with, and so are the other stats on Marcus’ docket when it comes to debt consolidation. You can get tremendous repayment terms from 36-72 months, loan amounts from $3,500 - $40,000, and APRs of 5.99% - 28.99% **. The low is slightly higher than some competitors (but not by much), and the high is much lower than other lenders. Marcus also has an incredible feature that lets you skip a payment once every year if you have been paying your loan back responsibly. Finally, with no fees to pay, it’s not surprising that Marcus is one of the leading lenders in the industry. Fiona offers APRs from 3.84% - 35.99%, making a solid choice if you’re looking to consolidate debt! Also, you can borrow anything from $1,000 - $100,000, so Fiona really covers any type of borrower. Finally, this lender works with credit scores as low as 580. That is one of the lowest score acceptances you’ll find anywhere. Just bear in mind that Fiona is not a direct lender, so terms can change depending on who you end up with. Fees will also vary based on lender. Monevo is another reliable lender that offers some of the most favorable terms you’ll find anywhere in the industry. 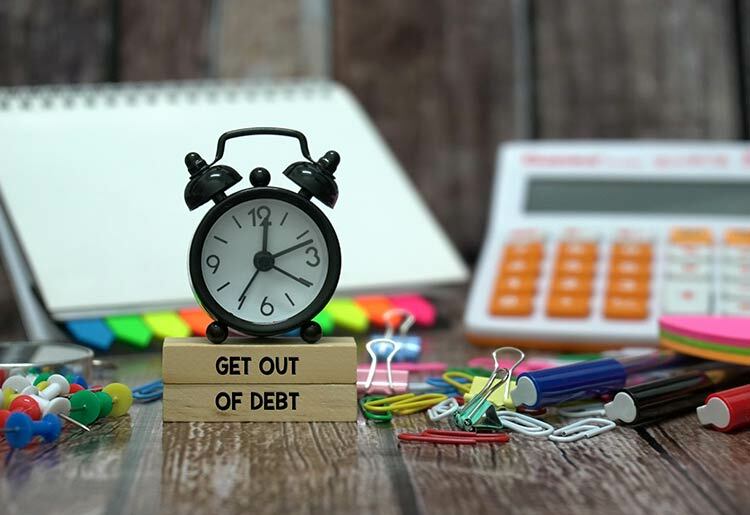 You can get loans from $1,000 - $100,000 with flexible repayment terms ranging from 3-96 months, which can come in useful if you’re trying to get out of debt. What’s more, Monevo charges some of the lowest introductory APRs anywhere, ranging from 3.34% - 35.99% if your credit can swing it. This lender will even work with low credit scores of 580, so anyone can look forward to a Monevo loan. LendingClub has some of the most flexible terms around. You can get a loan for anywhere from $1,000 - $40,000 with repayment terms of 3 or 5 years. APRs are pretty average, ranging from 6.95% - 35.89% *** depending on creditworthiness. Best of all, though, LendingClub works with credit scores as low as 600, making it a worthwhile choice for debt consolidation if your credit record has seen better days. Various fees such as origination fees and prepayment penalties will vary based on the specific lender you go with, but you can expect a 1% - 6% origination fee, $15 unsuccessful payment fee, and late payment fee of 5%.